A Fulbright scholar in Paris, American coloratura soprano Laura Hynes spent six years in France and Germany, performing repertoire ranging from baroque opera with Les Arts Florissants to "classical cabaret" on French television and radio. She has performed opera roles, solo recitals, and concerts throughout Europe and North America, in venues including New York's Alice Tully Hall, the Barbican in London, the Châtelet and the Cité de la Musique in Paris, as well as major venues in Seville, Brussels, Madrid, Lisbon, Frankfurt, Marseille, and Montpellier. In 2015, Hynes joined the performing arts faculty at the University of Calgary. Her research focuses on performance innovation in art song recital through social justice issues (Raise Your Voice), and transgender voice transition,supported by a SSHRC Insight Development Grant. She holds degrees from the University of Minnesota (DMA) where she was the Carolyn Bailey & Dominick Argento Fellow, the Paris Conservatory (Cycle de perfectionnement), the Cincinnati College-Conservatory of Music (MM), and Miami University (BM). Nia Devetzis is a percussionist driven by the vivid and vast world of contemporary music, whether as a soloist or chamber musician. As a teaching artist, she is dedicated to education through performance and instruction, leading by example and questioning audience expectations by asking, what exactly is percussion? Notable performances include solo engagements with the Calgary Philharmonic Orchestra, and Calgary Wind Symphony, as well as Calgary’s contemporary music and sonic arts festival, Forms of Sound and the Stratford Summer Music Festival. 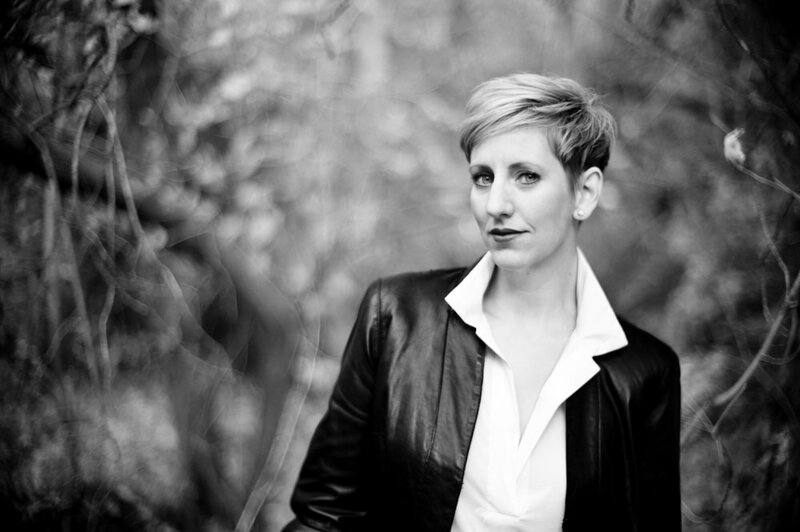 As a chamber musician, she is dedicated to the support of contemporary music in Calgary as a core member of Timepoint Ensemble and has made appearances with The Rubbing Stone Ensemble and Land’s End Chamber Ensemble. Favourite past performances include Steve Reich’s Drummingat the TorQ Percussion Seminar, Conductwith the University of Calgary’s School of Creative and Performing Arts and concerts with So Percussion Quartet at their summer institute. Nia is an instructor at the Mount Royal Conservatory. She completed her master’s in percussion performance at the University of Calgary with Rod Thomas Squance. Leila holds a BMUS from the University of Calgary studying piano with Charles Foreman, French Horn with Kurt Kellan, and secondary music education. She pursued further studies in collaborative piano at the University of Western Ontario, achieving a MMUS in vocal coaching and chamber music with Dr. John Hess. In London she was the chorus master of the UWO opera company. Returning to Calgary, Leila had the opportunity to tour Europe as the accompanist for the U of C Chamber Choir, she was the assistant conductor for Savridi Singers Women’s choir, and was on faculty with the MRU Conservatory Academy program. While raising three boys with her husband Kirk, she maintains an active piano studio, and works as a freelance coach and accompanist at the University of Calgary and Amici String Program. Artio specializes in choral music that is distinct, demanding, diverse and innovative. They explore a variety of genres from early music through to innovative creations being crafted by today’s composers. They re-imagine and re-invent music of the past and embrace the avant-garde music of tomorrow while continually seek to push the boundaries of choral music and performance. In addition, Mount Royal Artio has been involved in a number of collaborative events including performing on stage with Canadian Astronaut Chris Hadfield in 2016 and Tanya Tagaq in 2017. Bleau's passion for music, especially choral music, is evident through his unique and expressive conducting style, and his enthusiastic approach to rehearsals. He is known for asking his choirs to engage difficult music, always seeking to push the members past their perceived limitations in order to produce music which — while challenging — is ultimately very rewarding. Having spent four years studying psychology, tenor Tim Carter decided to change course and follow his passion for music and opera. In 2018, Tim completed a B.Mus degree in Performance at the University of Calgary where he studied with Laura Hynes. His most recent engagement was the role of Archibald Grovenor in Gilbert and Sullivan’s Patience with Opera NUOVA. Tim plans to pursue a Master’s Degree in Music. Praised for an “instantly likeable voice” with “gorgeous, spinning tone”, tenor Oliver Munar is in increasing demand for his clarity, versatility and interpretation. He earned a Master of Music in vocal performance from the University of Alberta where he studied with famed international operatic tenor John Tessier. This season, Oliver debuts with Calgary Concert Opera Company as “Gastone” in its production of Verdi’s “La traviata”. He will also sing in the Calgary Opera productions of Gounod’s “Romeo et Juliette” and Verdi’s “Rigoletto”, and will be a featured soloist in J.S. Bach’s “St. John Passion” in the spring. Oliver is both honoured and pleased to again lend his voice to the Mysterious Barricades concert series. Canadian pianist Jack Olszewski is a solo and collaborative pianist that has performed throughout Canada, the United States, and Europe. He holds multiple degrees in piano performance from McGill University (B.Mus. and M. Mus), and most recently graduated with an Artist Diploma in collaborative piano where he studied with Michael McMahon. Mr. Olszewski is an alumni of the Orford Music Festival, The Banff Centre, Opera NUOVA, the Franz-Schubert-Institut, Toronto Summer Music Festival, and the St. Andrews Opera Workshop. He has been the recipient of funding from the Edmonton Community Foundation, the Anne Burrows Music Foundation, the Williamson Foundation for Music, and the Art Song Foundation of Canada. Rod Thomas Squance is quickly gaining recognition as one of Canada’s most exciting musicians. Rod is very active as a soloist and freelance percussionist in chamber, orchestral, jazz and world music settings. He has performed with Yo-Yo Ma and the Silk Road Project, Paquito de Rivera, Dong-Won Kim, Prafulla Athalye and Sandeep Das. He appears in solo recitals regularly, including recitals for national CBC radio broadcasts. Rod holds a doctoral degree from the University of Miami, having received his formal training as a classical percussionist. He also plays jazz vibraphone and is an accomplished improviser in a wide variety of styles. Rod is experienced in the field of ethnomusicology, with expertise in Balinese gender wayang shadow theatre music, having completed field research in Balinese music studying gender wayang with I Ketut Sukayana in Sukawati village, Bali. Rod is also an experienced performer of North Indian classical raga music and has studied Afro-Cuban percussion and Brazilian music. Rod teaches ethnomusicology and percussion at the University of Calgary. Lizz Windnagel is a versatile singer who enjoys using song in many different forms. As a recent transplant from the U.S. to study at the University of Calgary, Lizz is very excited to continue her career as a performer and creator. Lizz has a passion for interdisciplinary art, creating works that involve music along with other art forms, including puppetry. Her two most recent shadow puppet shows were Pierrot Lunairewith Ensemble dal Niente, Palabras at Park Square Theater, and This Side of the Bluewhich premiered at Open Eye Figure Theatre. In 2013, she co-founded Minneapolis-based treble ensemble, Artemis, which performed regularly in the Twin Cities and most recently toured to Chicago to perform music by 113 collective at Constellation. Her ensemble experience was also filled with regular appearances with groups like The Rose Ensemble and Border CrosSings.From 2014-2017, Lizz was a company member with Mixed Precipitation where she performed lead roles in the “Picnic Operetta” in community parks and gardens. She holds a Bachelor of Music in vocal performance and a Bachelor of Arts in English Literature from the University of Minnesota. Thank you to University of Calgary for their continued support and encouragement. We respectfully acknowledge the traditional territories of the Blackfoot and the people of the Treaty 7 region in Southern Alberta, which includes the Siksika, the Piikuni, the Kainai, the Tsuut’ina, and the Stoney Nakoda First Nations, including Chiniki, Bearpaw, and Wesley First Nations. I would also like to note that the University of Calgary is situated on land adjacent to where the Bow River meets the Elbow River, and that the traditional Blackfoot name of this place is “Mohkinstsis” which we now call the City of Calgary. The City of Calgary is also home to Métis Nation of Alberta, Region III.